Your cocktail hour has a new soundtrack… the Thurston Howlies! 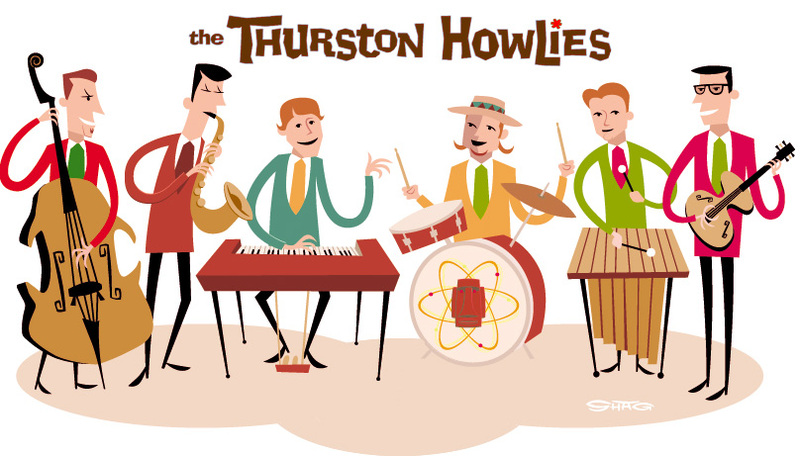 The Thurston Howlies offers an alternative to BORING bands. They offer classic retro Sin City style with vintage Las Vegas appeal. They understand cocktail culture, because they live it! The Thurston Howlies can supply all of your Las Vegas lounge band needs: specializing in Las Vegas wedding reception music, Las Vegas live music, Las Vegas corporate event music, Las Vegas private party music, Las Vegas cocktail hour music, Las Vegas Swing bands, vocal style of the Rat Pack and Las Vegas Jazz bands. The Thurston Howlies know all of your favorite classic Las Vegas tunes from the likes of Elvis Presley, Frank Sinatra, Tony Bennett, James Brown, Jack Jones, Wayne Newton, and many more. The Thurston Howlies are all seasoned professional musicians with years of professional experience. Find us by searching for Las Vegas wedding reception music, Las Vegas wedding band, Las Vegas event music, Rat Pack music, Las Vegas live bands and Las Vegas musicians. If you want a beach party vibe… the Thurston Howlies know how to hang ten in their matching Hawaiian shirts! 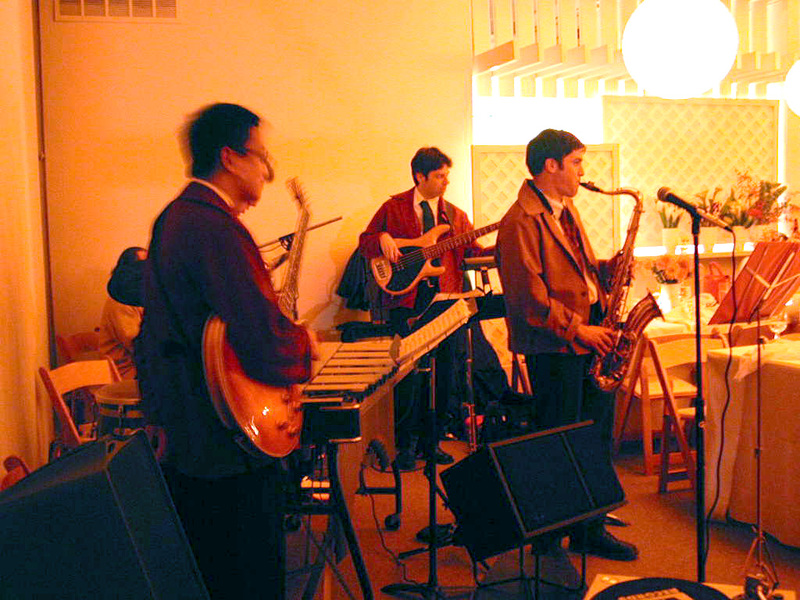 If you want a vintage swanky supper club vibe… the Thurston Howlies know how to exude suave style in custom color coats! 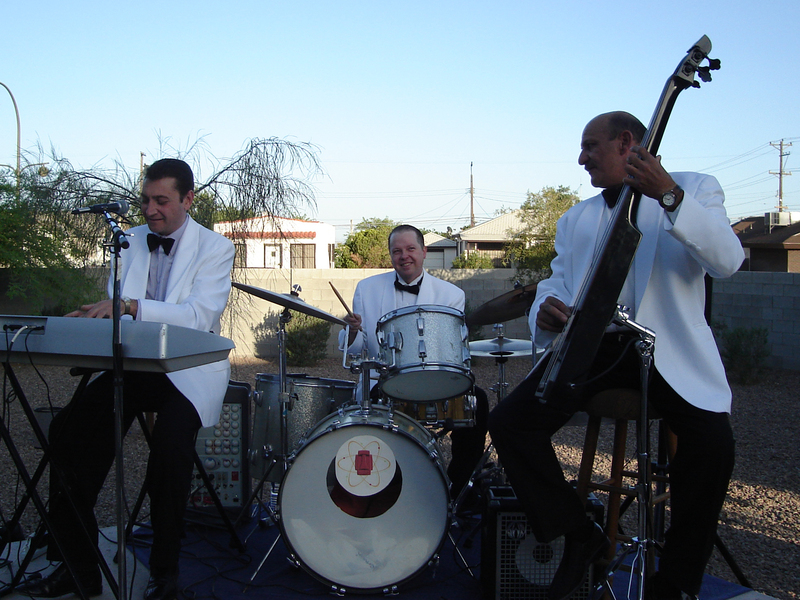 If you want a classic Las Vegas lounge act vibe… the Thurston Howlies know how to dress it up in formal dashing dressy duds! We can do Black Tuxedos OR Classic Hollywood White Tux Jackets! The Thurston Howlies always look great. And they sound even better. The Thurston Howlies always look great. And they sound even better. Very Vintage Las Vegas! These guys were ultra hip! NO hokey pokie! And they made sure my Drunk Uncle stayed far away from the mike. These guys were ultra hip! NO hokey pokie! NO chicken dance! And they made sure my Drunk Uncle stayed far away from the mike. Classic or your Freaky Tiki Party. Classic lounge and exotica like Les Baxter or Yma Sumac for your next Freaky Tiki Party. Had a Blast… Looked Great! 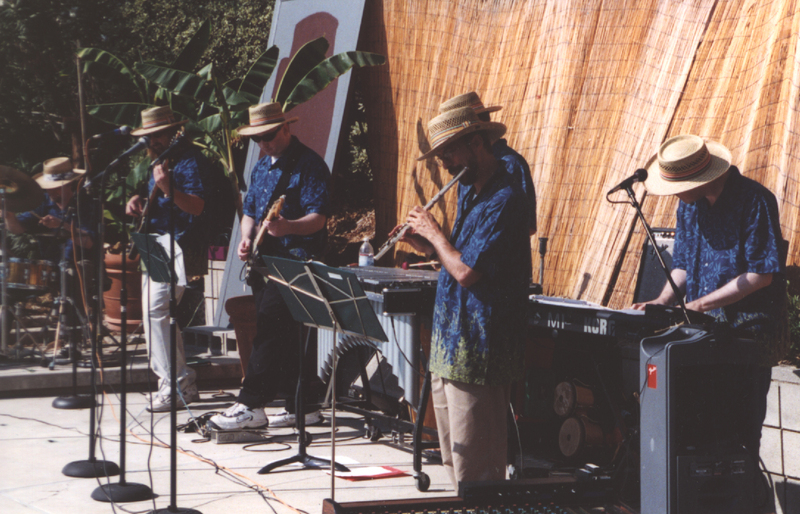 I hired the Thurston Howlies to play for my annual summer beach party and all the guests had a blast dancing to the surf music and the guys all looked great in their Hawaiian shirts! The Thurston Howlies, Cherry Capri, the Waikiki 3 names, photos likenesses and images herein are copyrighted. © cary stratton all rights reserved. website contents © 1996-2017 mm stratton all rights reserved. There is a possibility of text or images used on this site that belong to others. No copyright infringement is implied. These are shared to help educate readers. If you have found anything on this site that needs to be fixed, credited or removed, please contact me.